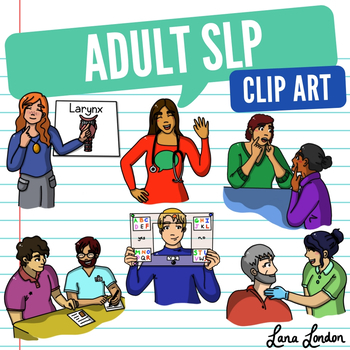 Adult Speech Pathology clip art featuring SLPs in action! 12 illustrations, including 6 colour images and 6 black & white versions. PNG format perfect for layering. Earn TpT credits you can use towards purchasing more TpT resources by providing feedback. I would love to hear what you think of my clip art!